The Fairmont Chateau Laurier situated in the heart of Ottawa, Ontario is an exquisite hotel neighboring the Parliament Buildings. The building was constructed in limestone with turrets and masonry which is a design that resembles that of a French chateau. Inside the Fairmont Chateau Laurier there are over four hundred luxurious rooms, some being single rooms with others being glorious suites suitable for families. Chateau Laurier, Ottawa, Ontario, Canada, North America. 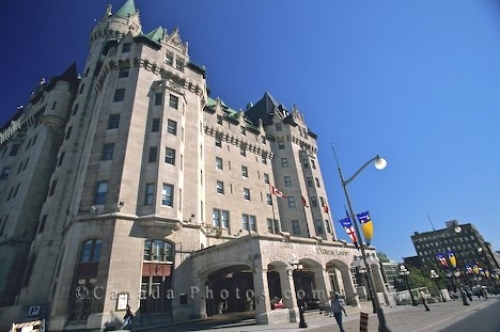 Picture of the Fairmont Chateau Laurier located next to the Parliament Buildings in Ottawa, Ontario in Canada.